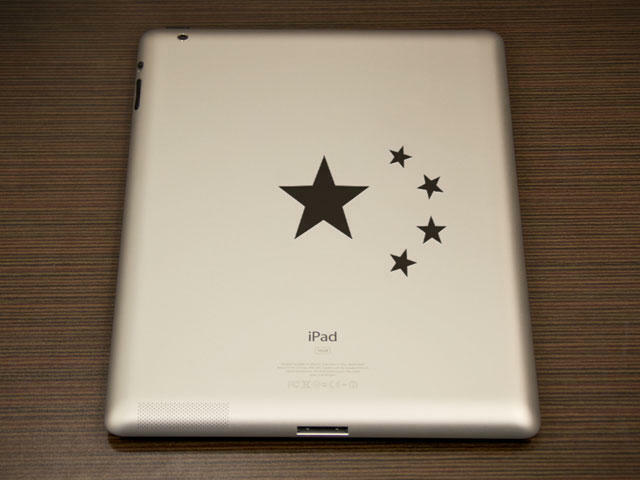 Apple, a company notoriously silent when it comes to the workings of its business, has decided to finally issue a comment over what has been occurring in China in regards to its rights with the name "iPad." Over the course of the past week, display maker Proview has been trying to get iPads confiscated from store shelves in China, saying that Apple does not own the rights to the iPad name in china. The company even went so far as to try to get all exports of the tablets cut off, meaning that Apple would be left with no supplies worldwide as all of them are manufactured. Chinese customs officials informed Proview that this would be a difficult task, so it appears that at least that threat has been quelled for now. Finally breaking its silence on the matter, Apple issued a statement to All Things D this morning in regards to the situation. We bought Proview's worldwide rights to the iPad trademark in 10 different countries several years ago. Proview refuses to honor their agreement with Apple in China, and a Hong Kong court has sided with Apple in this matter. In its decision, the court said Proview had breached an earlier agreement to transfer the iPad name to Apple. It said Apple used a subsidiary called IP Application Development Ltd. to purchase the rights to the iPad name in December 2009, roughly a month before Apple's tablet device was first unveiled. Following the release, Proview didn't reassign the iPad name to Apple in China, according to the court document, but instead, asked Apple to pay $10 million for the China trademark. The court found that Proview, its subsidiaries and at least one other company had conspired to injure Apple by breaching the agreement over the iPad name, and that Proview had "attempted to exploit the situation as a business opportunity," by asking for money. "It is accordingly important that [Apple] is able to secure and obtain the China trademarks," the court wrote in its decision. In short, the court in mainland China agreed with Proview, but the Hong Kong court didn't. The two companies are due back in court in China on February 22. As we noted yesterday, Proview is a company in financial trouble, and as more and more details emerge in this story, it is is looking very likely that the company is kicking itself for selling the name for what came to be around $51,000 a few years ago. As Apple has now grown to be the most valuable company in the world, it makes them an easy target for other concerns seeking money. It sounds to us as Apple does have the rights to the name, but we'll just have to see how this plays out in future court rulings for them.